Home Uncategories Wait, the Tigers bullpen is doing what? Wait, the Tigers bullpen is doing what? I never majored in philosophy or religion, and I'm a long way from becoming a full-time Life Coach, but I have a theory: life is, generally speaking, a lot of crap-dodging followed by brief moments of "hell yeah." I can get someone to cross-stitch that into a pillow if you want. Maybe a nice sunset background? So we're going to celebrate this momentary win and enjoy it, no matter how small, because the Tigers bullpen is currently on a 10 &frac13; scoreless innings streak. Yes, that's a small sample size, but guess what? So is April baseball, and so are bullpens in general, so stop talking and let's cut this cake I bought. You have to remember how bad this bullpen was in April. You do remember right? If not, I have this supercut reel of pitchers making various grimacing faces as baseballs sail into the stands. This bullpen was walking everyone in sight, giving up more home runs than almost any other bullpen in the American League, leading every other AL team in runs surrendered, and not RSVP-ing but still showing up at your parties anyway (empty-handed, of course). But in the last seven games, the bullpen has posted a 2.95 ERA to go with a 3.15 FIP. They're only allowing a little over one baserunner per inning. Only issuing a walk maybe once out of every three innings. And the real eye-popper? In seven games and 18 &frac13; innings, this bullpen has a K/9 rate of 12.8, better than a batter per inning. Did I mention they haven't given up a run in 10 &frac13; innings? The recently called-up Blaine Hardy, who has only given up two runs in six outings while striking out almost a full batter per inning, may have something to do with this recent run of late-game success. Or it may be that K-Rod, who was only averaging 88 MPH on his "fastball" for the first three weeks of April, has bumped that up to an average 90 MPH ever since. 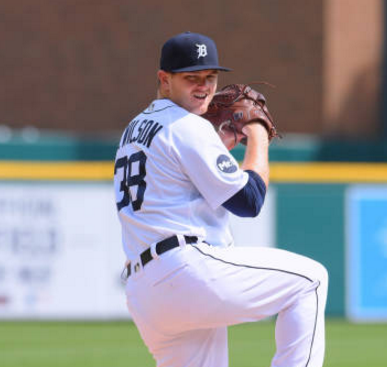 The results are that his 5.87 ERA in those first three weeks has become a 3.00 ERA since then, with a 369 point drop in opponent OPS, and an uptick of two-and-a-half more strikeouts per nine innings. In other words: a bit of added velocity has meant fewer allowed runs, weaker contact, and more swings and misses. Especially when you're winning, no matter how briefly.